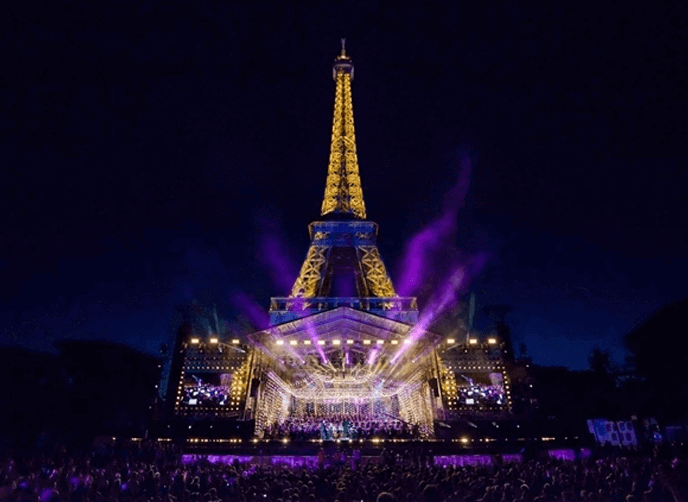 A spectacular concert took place at the foot of the Eiffel Tower in Paris to celebrate Bastille Day on July 14th 2018. The Orchestre National de France performed along with the Chœur de Radio France in a programme of renowned international artists. The specially built 540m2 gloss black stage was uniquely created for the event with Harlequin Hi-Shine vinyl flooring.